“It´s not fair to call us ‘separatists’. It wasn´t us who wanted to split from the USSR,” says Sergey Simonenko from his bureau at the government buildings of a country that still nobody recognises as legitimate. 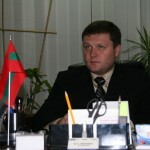 Simonenko happens to be the Deputy Foreign Minister of the ‘Moldovan Republic of Pridnestrovie’. It´s a patch of land better known outside its boundaries as “Transnistria”. In the fractured world of post-Soviet politics, Moldova emerged as a separate country, its boundaries conforming to those of the erstwhile Soviet Republic. The left bank of the Dniester had been annexed to the Moldavian Soviet Socialist Republic by Stalin back in 1940. Mainly populated by Russians and Ukrainians, the inhabitants of this narrow strip of land decided a few years back that they rather fancied being masters of their own destiny. With Moldova’s independence from the Soviet Union, the two factions on opposite sides of the Dniester, those on the west speaking Moldovan and more attuned to Romania, and their neighbours on the east bank, having greater affection for Russia and Slavic values, quickly turned against each other. The Moldovan-Transnistrian conflict was one of the many that reshaped the Eurasian map back in the early nineties. Boundaries were redrawn from Tajikistan to the Dniester. “Half a million Transnistrians finally got their independence,” claimed the Slavs. “And half a million Moldovans are kidnapped by a tyrant regime,” the right bank of the river. Last September, Transnistria celebrated the 18th anniversary of its Declaration of Independence, something that had already happened a year before Moldova declared hers. European Union officials like Javier Solana approved moves against Trans-Dniester on the basis of respecting Moldova’s territorial sovereignty. Quite ironic, seeing how many EU governments have applauded and recognised Kosovo´s independence. Today, no country in the world recognises an independent political entity on the left bank of the Dniester other than the Ukraine. 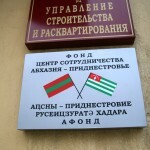 But some “quasi” states as Abkhazia and South Ossetia have been regular attendants to the annual celebrations in Tiraspol, the Transnistrian capital. Moreover, the two breakaway regions recently recognised by Russia have had representatives here for years, a sort of “would be” ambassadors. Very much the same as the Caucasian republics, Transnistria also boasts its own passport, its flag, car plates…and they go further by printing their own stamps, and even coining their own currency: the Transnistrian rouble. Needless to say that none of these are valid outside this country which barely doubles the size of Luxembourg. As for the national anthem, there are three versions, one for each official language: Russian, Ukrainian and Romanian. The melody, a candidate for the USSR anthem composed in 1943, is common to the three but the lyrics change depending on the language we use. “Let´s praise our factories,” says the Russian version. Small wonder here as most of Moldova´s industry was located on this side of the river when the war started. The 90% of the electricity of the Latin country was produced here so the loss of Transnistria left the Moldova in literal darkness. “No, we are not communists; the Moldovans are!” continues Deputy Minister Simonenko, despite the hammer and the sickle on the Transnistrian flag on his desk, and also on his business card. In fact, Simonenko is right when he states that the communists are those on the west bank of the river. Vladimir Voronin is Moldova´s Communist Party´s First Secretary as well as the president in functions of the country since 2001. But his son, Oleg, owns the dubious honour of being the richest man of Europe´s poorest country. 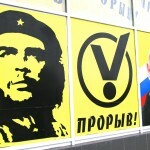 It seems that equal share of wealth is still a distant concept in Moldova. Back in Transnistria, just a light stroll from 25 October street towards Gagarin boulevard is more than enough to realise that this is far from being a communist stronghold. Despite the severe look of Lenin´s red granite statue opposite the government building, Gazprom branches, jewelleries change offices and other outsiders to former Soviet taste work hard in the name of the privatization policies that rule here. The biggest example is probably Sheriff, the company allegedly linked to Igor Smirnov; that Kamchatka born bushy eye browed man who happens to be Transnistria´s first and only president up to date. Sheriff owns the local petrol stations, a supermarket chain and the telephone company, but also the casino at the city centre, the brandy distillery, and even the local football team: Sheriff Tiraspol FC! Paradoxically enough, football is the only thing that links both banks of the river Dniester. The local team has been the indisputable winner of the Moldovan league since 2000. Moreover, Sheriff stadium is still the only one that fits UEFA criteria, so Tiraspol hosts Moldova´s squad´s international fixtures. 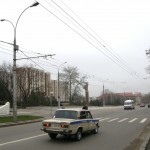 “Western journalists come here on a daytrip: they take pictures of Lenin, the billboards, the war memorials, and they always write the same cliché afterwards “Transnistria: the last Soviet Paradise”, “the Soviet theme park”…But we are a modern country!” explains Svetlana, a chemical engineer in his late 30´s. “If it were for me, I would pull down all those symbols straight away”. Svetlana’s anger towards these stereotypes is evident. Yet, the Soviet cliché is far from being not the most harmful of all those Transnistria has to bear. “Chisinau constantly spreads rumours about arms and drug trafficking here”, continues Svetlana. “European observers have been checking these borders for years and they’ve found none of that”. She refers to the European Mission for Border Assistance that monitors both the Ukrainian and the Moldovan sides of the border. 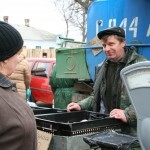 According to them, smuggling to and from Transnistria consists mainly on chicken and alcohol. “During Kuchma´s rule, the Ukraine was also suspected of all sorts of arm trafficking. Surprisingly enough, all those accusations vanished when Yushenko and his ‘Orange Revolution’ came to power,” remembers Svetlana. “Nobody has mentioned the smuggling issue ever since”. Nonetheless, we could have more easily stuck to an example everybody knows: the also alleged ‘weapons of mass destruction weapons’ in Iraq. 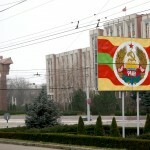 Whether there´s any truth in the rumours surrounding Transnistria, they´re very likely to tone down in the near future. Everything points now that Moldova´s long claimed territoriality will be solved by an agreement brokered by Moscow rather than by any kind of military intervention. 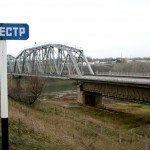 After being backed by Russia in and after the war, it seems that the Kremlin is now putting its weight behind Russia’s Slavic brothers on the Dniester. Moldova has been pressurising Russia for years by boasting her intentions of joining NATO. 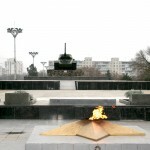 But now that the US global ballistic missile defence has reached Russia´s very borders, and with the Ukraine and Georgia willing to join NATO, Moscow is likely to buy Moldova´s ‘neutrality’ by forcing the Tiraspol authorities to bend down their knees and fully integrate within the Moldovan state. For Moldova happens to be now a very strategic spot between the borders of Romania (already a NATO member) and the Ukraine. What can Transnistrians offer today to their former allies? Not too far from here, the Russians from Crimea gather at the port of Sevastopol in support of Russia´s Black Sea Fleet. Will Russia take military action on the Ukraine in case Kiev finally joins NATO and kicks out the Russian fleet? Can Sevastopol be the future capital city of an unrecognised state like Transnistria is today? “We feel bretayed,” confesses Yuri, 41, looking at his Russian passport once handed out by Moscow; the same one he used to vote for United Russia, Putin´s ruling party, last March. Yuri also keeps his Moldovan passport for practical reasons, and the Soviet one too.